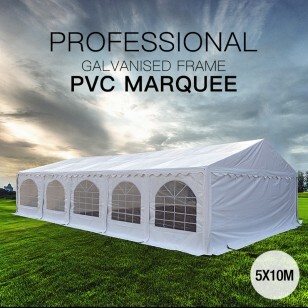 Commercial Grade PVC Series Tent Marquees with galvanized steel frame, PVC canvas and a number of smart features like easy assembly with wing screws is the perfect solution for local societies, clubs, markets, wedding parties, birthday parties, confirmations, A-levels parties or other festive events or activities where a low priced alternative to our Professional Party Tent Marquees is required. 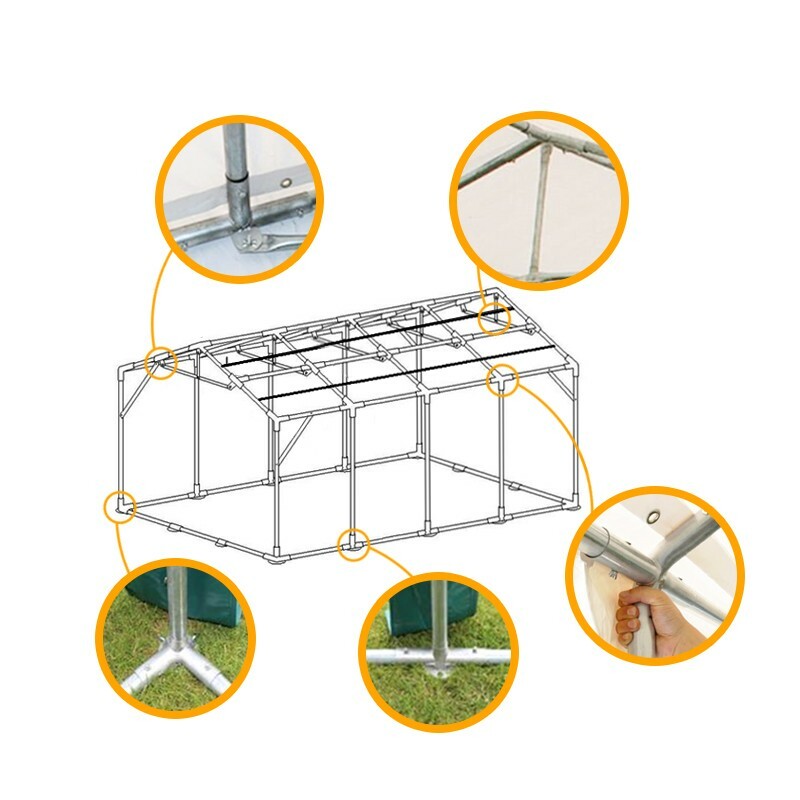 The strong steel frame of the Party Tent Marquee is galvanized and is furthermore easy to assemble with the wing screws enclosed. 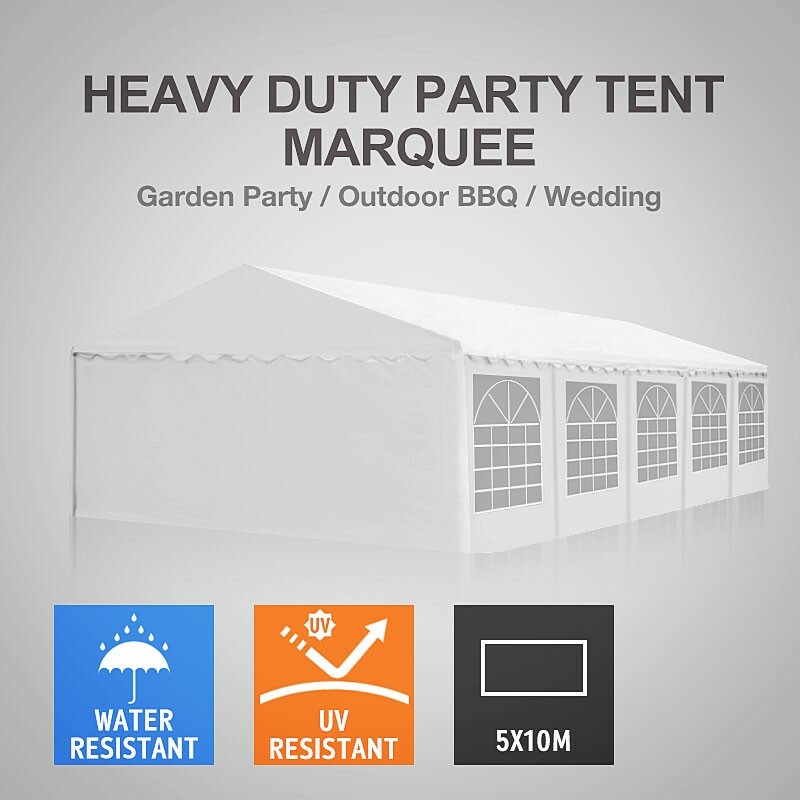 The Party Tent Marquee is easy to transport because of the strong light weight frame. 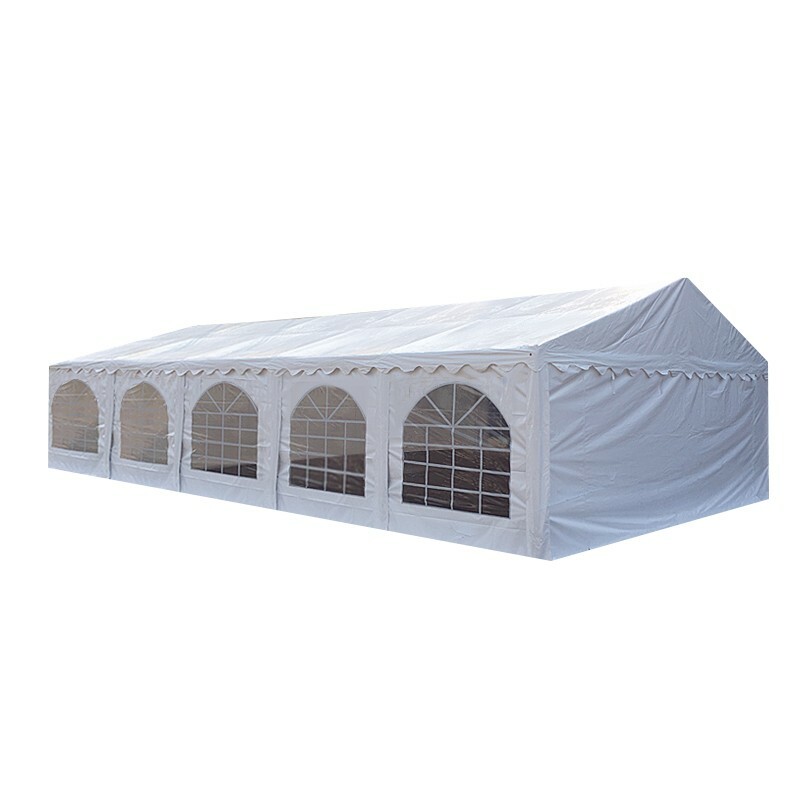 The canvas of the Party Tent Marquee is beautifully made and has a built-in rip stop function to prevent tearing. 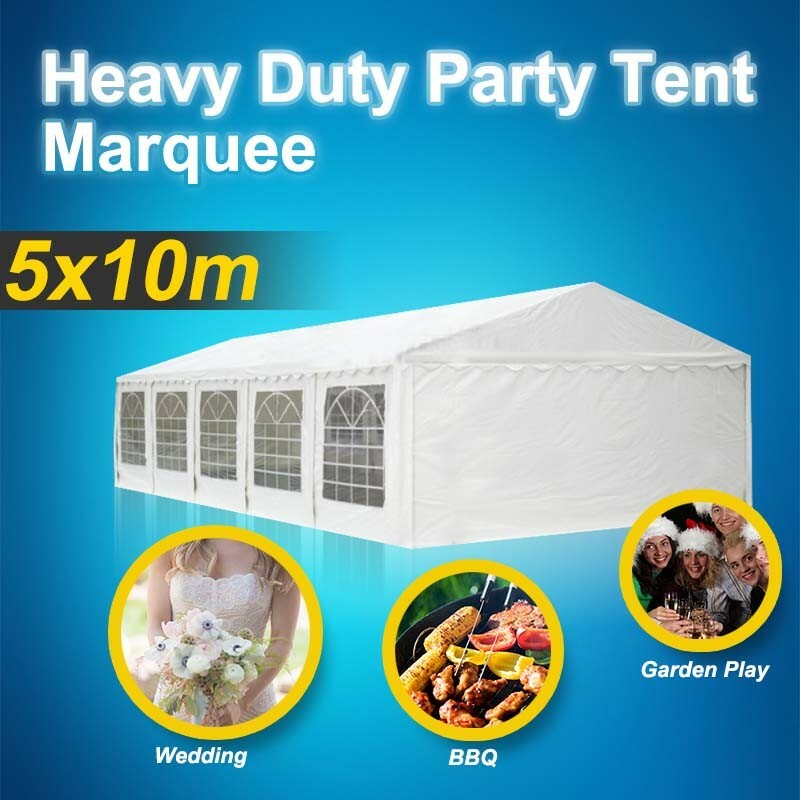 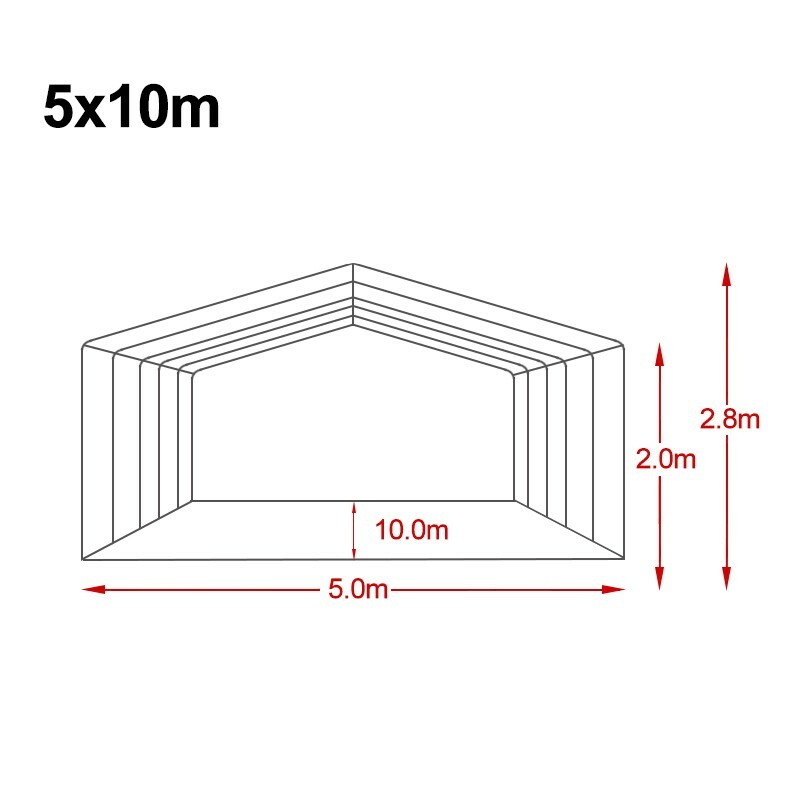 The roof cover of the Party Tent Marquee is made of an extra strong PVC quality. 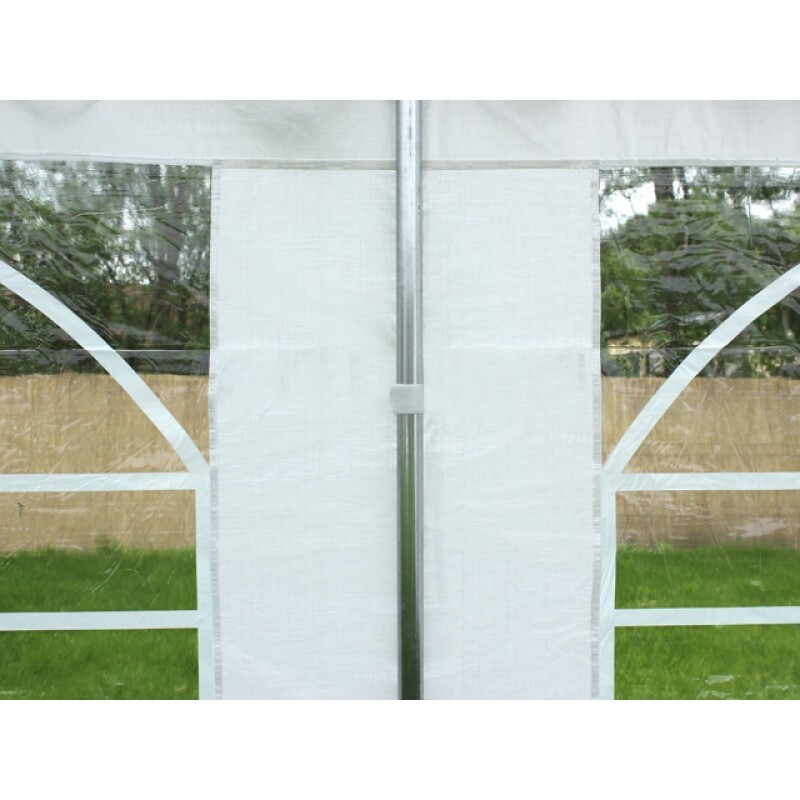 The arched windows on the long sides offer a comfortable inflow of light and a nice view out of the Party Tent Marquee. 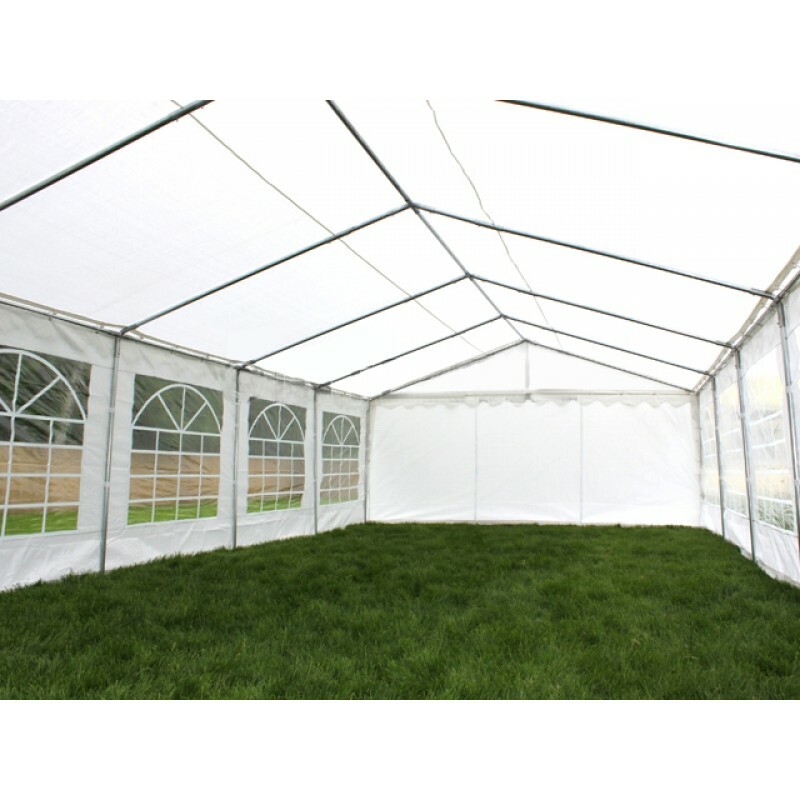 The Party Tent Marquee has an entrance door in each of the end walls. 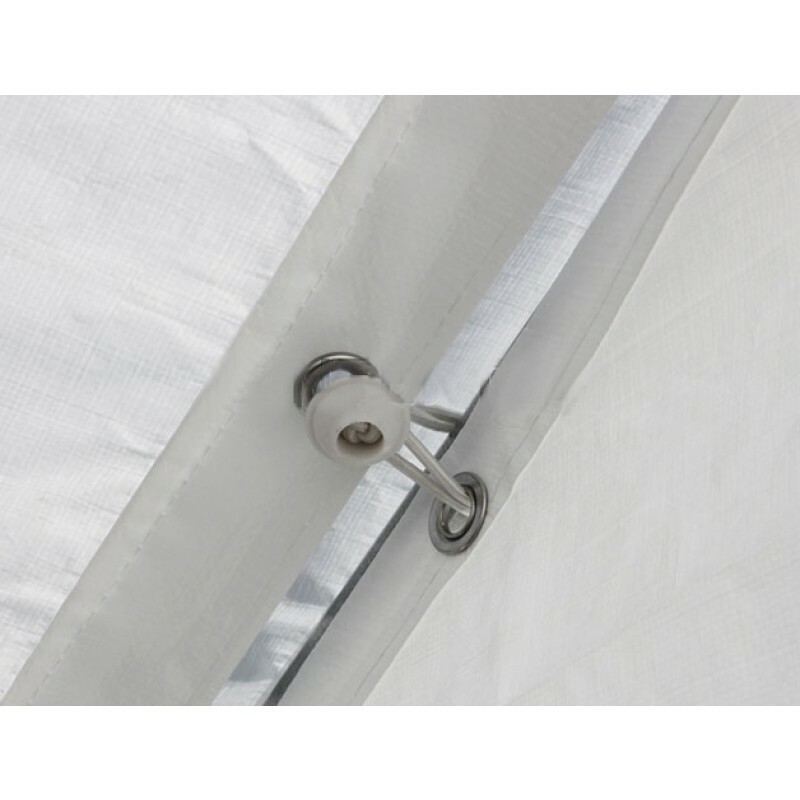 - Door: Velcro door opening in both endwalls. 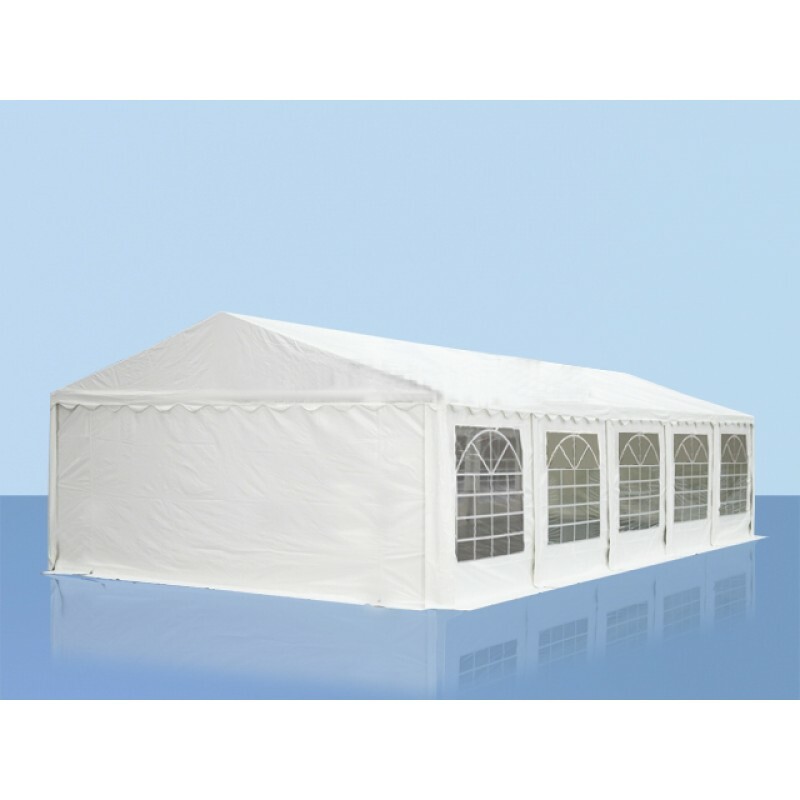 *Although these products are designed to withstand mild weather conditions including winds and rain, they are not designed to be used as a permanent or semi-permanent structure but rather as an occasional use item. 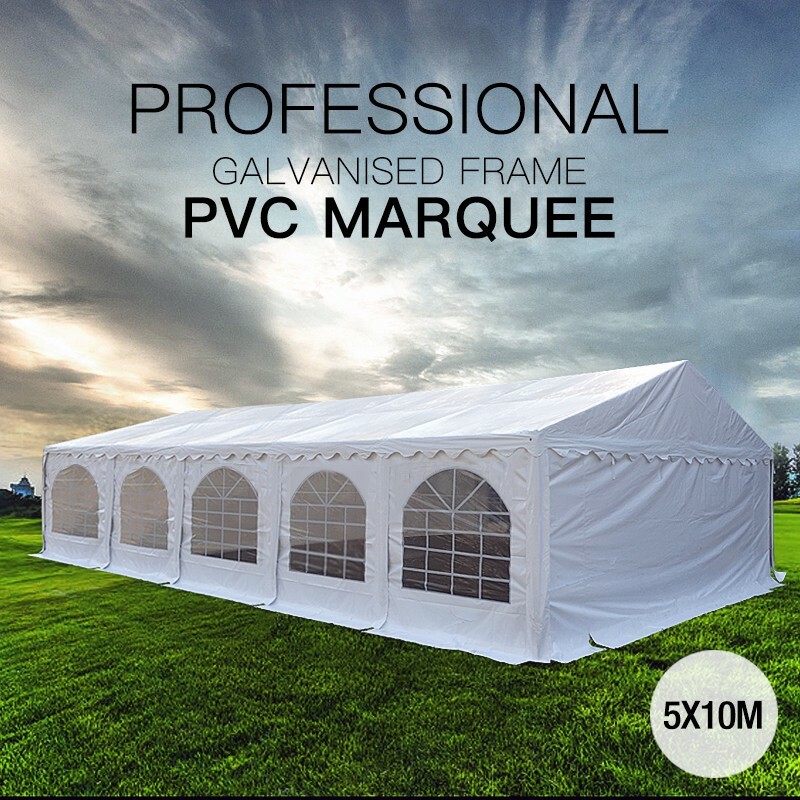 The structure can be sued for day or night events but not left erected for prolonged periods of time.